the Guangxi province of China. The festival began on June 21, 2017, despite protests and call for a ban as also a Change.org petition against the tradition of killing the canines and consuming the meat. 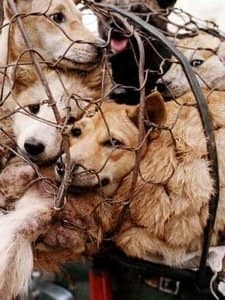 Around 15,000 dogs used to be culled for the festival in Yulin, a figure that has come down now but residents feel that dog meat is consumed everywhere and so, the festival should not be banned.